Low oil prices, low commodity prices and the continued China import ban are the three main factors that are affecting waste service costs across the country right now. In the current market with cheap oil, “virgin” plastic (a by-product of oil production), is cheaper than recycled plastic. At the same time, slower growth in China has cut the demand for recyclables like paper and aluminum, while China’s Green Fence continues to restrict imports of recyclables into the country. A recent New York Times article puts it simply: “Skid in Oil Prices Pulls the Recycling Industry Down With It.” With the drop in demand for recyclables , what we are seeing is a corresponding drop in the value of recyclables, while operating costs are increasing for haulers. As a result, a number of recycling facilities across the country have closed, and some local governments are cutting back on their recycling programs. 1) Commodities markets will always fluctuate, but recycling is here to stay. Recycling is currently under pressure, but not too long ago, it was a growth industry and many viewed recyclable materials as a cash cow. The thing to remember is that the commodities markets will always fluctuate, and oil may go down or up, but recycling is here to stay. With the mainstreaming of sustainability, recycling is inevitable. The public, your consumers, staff and tenants, demand recycling. 2) Take control, manage your waste/costs. So avoid being beholden to these fluctuations. Take control by developing a solid and sustainable waste management program that controls costs through better materials management, improved purchasing, reduction and reuse strategies and other solutions. 3) Take steps to maintain the value of your recycling. This is the time to pay attention to your waste and recycling program to optimize it. In the past, simply separating out a mix of recyclables and some light trash was acceptable. Now, in tight recycling markets, haulers need cleaner streams of recycling, which a proper waste management program can achieve. … as that would mean rolling back on all the investment and progress you have made in recycling over the years, including money and effort spent on developing and implementing programs, education and training. Picking and choosing what to recycle based on the ever-changing markets is not only inefficient, but counter productive. 5) Recycling is now NOT just about pure economics. Even if recycling costs more, benefits might accrue in other ways, such as reputation and greenhouse gas reductions. 6) Better, and possibly cheaper, than the landfill. Keep in mind that in many cases, recycling, even in today’s market, is still cheaper than sending materials to the landfill, especially for areas near urban centers. 7) What we need to do is to keep an eye on the future by closing the loop. We need to move to an economy that is circular, shifting our focus to reducing and reusing our resources BEFORE we even think about recycling. Zero waste strategies are the long term solution. Industry leaders are already setting the way. 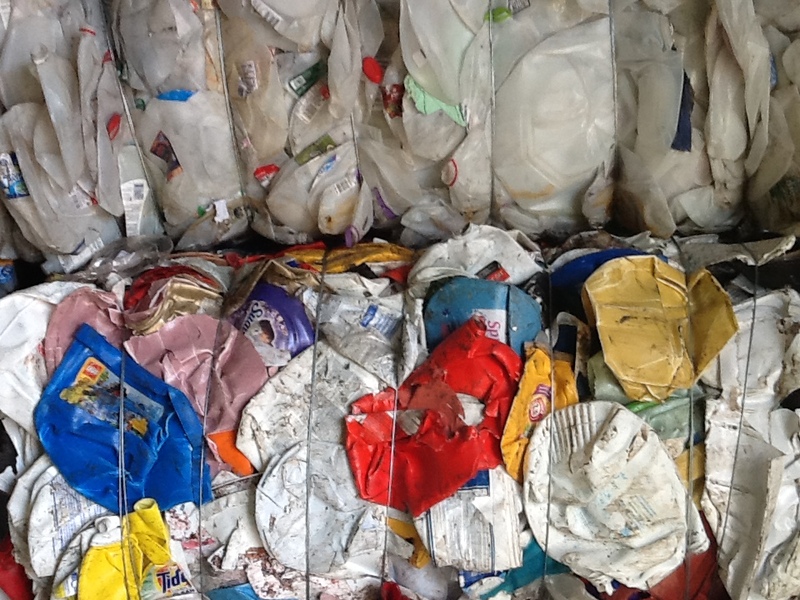 This entry was posted in Great Forest Insights and tagged recycling. Bookmark the permalink.